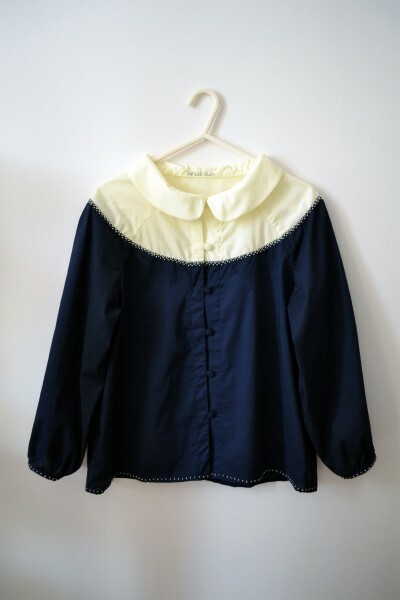 ← the Suicidal Girl’s blouse calico ver. 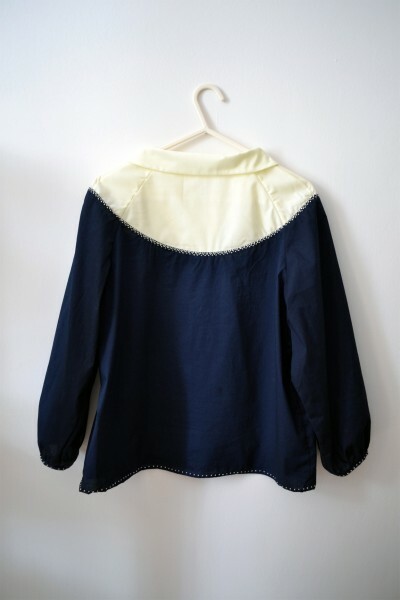 the Suicidal Girl’s blouse final ver. 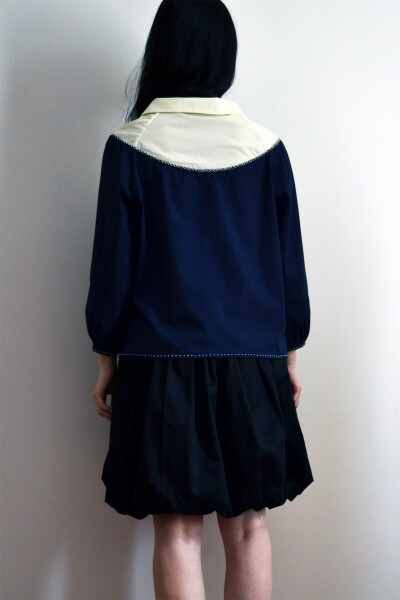 So finally, I have finished the full look for the Suicidal Girl for this collection “minus the sun, night all day”. 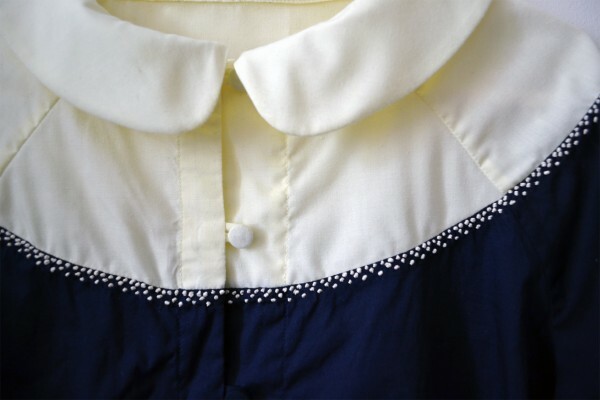 I hope you can see now that the concept of a single star in the night sky is represented by the lemon yellow top section of the blouse. 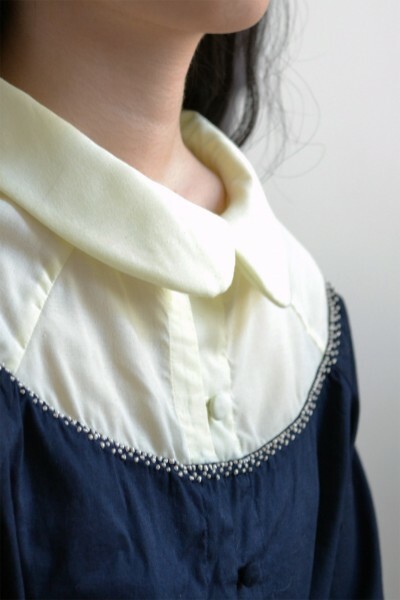 French knots embroidered with silk yarn are the twinkle of the star which she will become in the end. I always like to design something quiet and romantic for her. Covered buttons made with matching fabric blend in well. 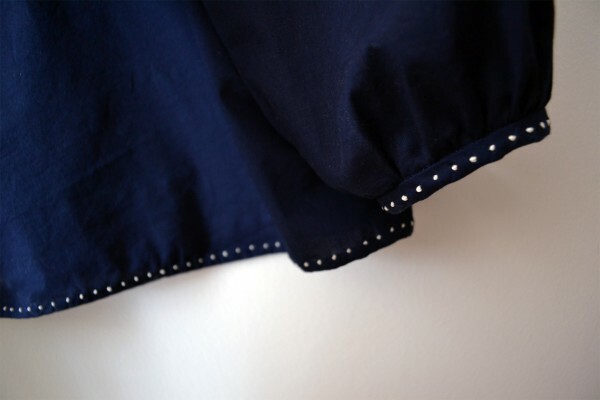 The cuffs and hem are also embroidered with French knots. This is beautiful Yuka. Hope you’re getting on with the application!